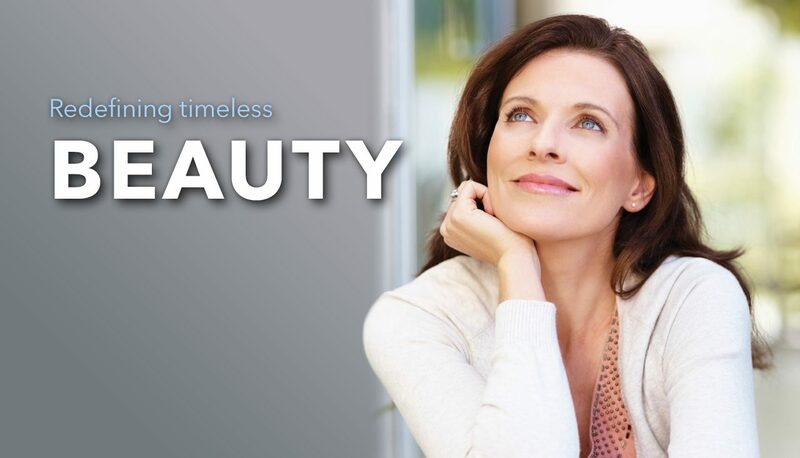 If you’re seeking a younger, more youthful look, Heaton Eye Associates can help. Experience the transformation of BOTOX® Cosmetic with our highly trained and board certified specialists, right here in our office. BOTOX® helps eliminate fine lines and wrinkles around the eyes, mouth or forehead, giving you a younger, healthier appearance. Since being approved for cosmetic usage in 2002, BOTOX® Cosmetic is considered one of the best and most affordable ways to turn back the hands of time. This in-office procedure takes just minutes, the results are quick and impressive, and you can get back to normal activities right away with a fresh, rejuvenated look! JUVÉDERM is the most popular injectable dermal filler in the U.S., and can provide up to a year of correction for moderate to severe facial wrinkles and folds, lifting and contouring the cheek area and creating more fullness to the lips. JUVÉDERM can be strategically used to lift, smooth and plump the facial area, providing natural looking results that last. This in-office procedure also offers quick recovery and immediate results. LATTISE® is an FDA approved treatment that increases growth of eyelashes for patients with inadequate or not enough lashes. LATISSE® grows lashes longer, fuller and darker. This is a prescription, topical solution that you apply at home. Your eyes are usually the first things that people notice about your appearance. They are probably the most important aspect of facial attractiveness. Even with a good night’s sleep, loose skin over your eyes or fat bags under the eyes can make you look tired, sad or older than you really are. As we go through life, even if we have taken care of ourselves, the skin around our eyes stretches and wrinkles. Fatty deposits cause the upper lids to sag while under the eye the tissue can bulge forward and become discolored. In severe cases, vision can become partially blocked. Typically, these unwanted characteristics come with age, beginning in the late 30s and early 40s, but hereditary factors can cause a much younger person to appear prematurely aged. Exposure to the sun, use of alcohol, smoking and poor diet all accelerate the signs of aging. Due to major advances in an eyelid rejuvenation procedure called blepharoplasty, your doctor can help restore a more youthful, alert and healthy look to your eyes. Sometimes referred to as a “mini-face lift”, blepharoplasty has become one of the most popular cosmetic procedures for both men and women because of its high level of patient satisfaction. Blepharoplasty can be performed on both the upper (for sagging or drooping eyelids) and lower (for under eye puffiness and “bags”) eyelids. As a general rule, insurance does not cover cosmetic surgery. However, if your eyelids are encroaching upon your field of vision, the procedure may be covered as “medically necessary” surgery. Before surgery, your doctor will evaluate the condition and health of your eyes. Specifics regarding your vision such as tear production, use of contact lenses, use of medications, and personal expectations will be discussed. This information, along with other factors such as age, skin type, and ethnic background, will allow both you and your surgeon to come to a mutual decision. Together, a plan will be discussed regarding the surgical technique, amount of surgery, and type of anesthesia to be used. Complications can occur with any surgery, however with blepharoplasty, serious complications are rare and most that do occur can usually be corrected. Be sure to ask your doctor any questions you may have regarding risks and complications before giving your consent for blepharoplasty. When performed on the upper eyelids, your doctor will remove the excess skin, muscle and fatty tissue that tend to accumulate in the inside corner of the eye, next to the nose. The incisions are made along the natural folds in the skin so that as they heal, they become difficult, if not impossible to see with the passage of time. When performed on the lower eyelids, providing there is not too much excess skin, your doctor will make the incision inside or behind the eyelid. This technique is called a transconjunctival blepharoplasty, which allows the removal of fatty deposits while avoiding the need for an external incision. If there is excessive skin or muscle folds below the eye, an incision may also be made just below the base of the eyelashes. As this incision heals, the fine scar should also become barely visible. Bruising and swelling is common after the surgery and is usually noticeable for a week to a month after the surgery, but longer in some cases. Cold compresses as well as head elevation will help reduce swelling and bruising and minimize discomfort. Eye ointments and/or eye drops may be given to keep the eye moist and clean. Postoperative discomfort is usually relatively mild although this will vary from patient to patient. Most patients require little, if any pain medication. Your eyes may feel sticky, dry and itchy for a week or so after the procedure. You will need to take special care in cleaning around the eyes for the first week or two. Your surgeon will give you a list of activities and environments to avoid during that time. Stitches are usually removed within 5-10 days after surgery. Self-absorbing stitches will dissolve on their own. Make-up can usually be applied to camouflage bruising after the stitches are removed and a good pair of sunglasses may help you feel better when in public. It is important to follow all of your postoperative instructions to speed healing and reduce the risks of incurring complications. Most patients experience a marked improvement in the appearance of their eyes after blepharoplasty. In addition to improving some patients’ vision, most patients report feeling more alert and energetic. Although the positive effects on your appearance will be immediate, your results will not be considered final for up to a year as the healing process continues. If you want to look as good as you feel, ask your doctor if you are a candidate for blepharoplasty.